I recently started as a marketing coordinator at Parkwood Homes after graduating; some of you may have seen me walking around Stapleton getting to know the area. Coming from Maryland, I’m amazed by the variety of architectural styles that can be found here and in Denver. Between the arts and crafts builders, the modernists, internationals and Mediterraneans, Parkwood Homes has always stuck to its roots as an east coast builder, made apparent by the colonial revival homes we build and even more apparent by how we name them (the Chesapeake, the Asheville and the Brookline, to name a few). This past week, Parkwood sent a few of us to the Kentlands community in Maryland, where it got its start as a builder and where the company is headquartered today. I just started at Parkwood as a marketing coordinator a few months ago, so even though I grew up in the area, It was a great opportunity to not only learn the history of Parkwood but also to get a first-hand look at the Kentlands, a literal textbook example of the New Urbanist principles that have led the nation into a new era of urban development. “The main purpose of the trip was for them to see our roots, better understand the look and feel we’re going for, and for them to get more time with our Maryland team and see what we’re doing there,” said marketing VP at Parkwood, Logan Wilcox. With the rise of the automobile in the 20th century, Americans were now able to travel further distances many times faster than before. The walkable, mixed-use communities of the past quickly gave way to single-use residential developments connected via 8 lane highways to single-use commercial developments, often featuring excessively large, and vacant, parking lots. New Urbanism was a reaction to the inefficient suburban sprawl and gained traction in the ‘80s with the leadership of urban planner Andres Duany and Elizabeth Plater-Zyberk, Duany’s wife. Promoting a self-proclaimed “conservative revolution,” New Urbanism draws inspiration from traditional planning principles that aim to reduce reliance on automobiles and encourage a sense of community. Some of Parkwood's earliest homes, built in the Kentlands, Maryland. Montgomery County developer Joseph Alfandre had purchased a 352-acre farm in the DC suburbs and wanted to build something special. Joe had grown up walking the streets of nearby Bethesda, Maryland and wanted his new community to recreate the charm and walkability he remembered from his childhood. Despite the success of Duany’s—and the nation’s—first New Urbanist community in Seaside, Florida, many critics remained unconvinced because it was a resort town. But Alfandre believed that Duany and his principles of “Neo-Traditional Development” could achieve his vision, and took a bold risk by choosing to develop his land in such an unconventional and unproven way. So Alfandre, his Executive VP Steve Wilcox (Parkwood Homes’ founder), and other Alfandre managers invited Duany to lead their effort to develop the Kentlands property. They also had to secure the buy-in of Gaithersburg’s mayor, Ed Bohrer, who took a substantial risk by approving something so revolutionary. Many local laws and ordinances, built up over decades of suburban sprawl, had to be amended and reworked to accommodate Duany’s vision, and Bohrer played a key role in facilitating those changes. Duany’s influence on Kentlands is immediately noticeable. During the early stages of development, Duany, along with Alfandre, Wilcox and a team of other employees, engineers, city employees and neighbors, compressed months of planning into a week-long design charrette, where they completed their master design for the 352-acre farm that would become the Kentlands community. Wilcox decided to venture out on his own and founded Parkwood Homes in the early ‘90s. By the time Kentlands was completed about ten years later, Parkwood had built more homes in the Kentlands than any other homebuilder, and great local and national interest in the groundbreaking community by other cities and developers led to many future opportunities for the company to grow. Today, walking around the community feels more like historical areas of Georgetown or Charleston than a modern suburb. 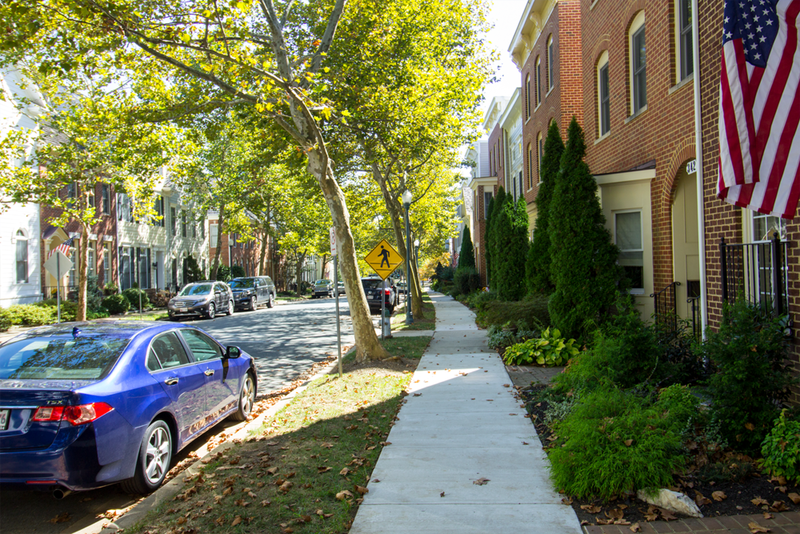 With winding streets flanked by parallel-parked cars and trees backed by homes with narrow setbacks, the Kentlands is covered in a network of alleyways, stairs, and parks. The single family homes are mixed among the large and small townhouses, all within walking distance of Main Street. Main Street in Kentlands. The row of commercial townhomes on the left were built by Parkwood. 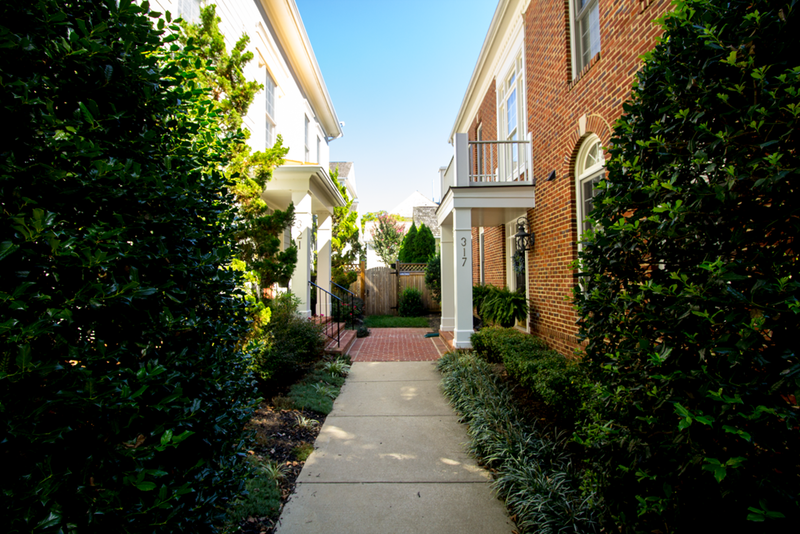 One of the most fascinating and innovative parts about the Kentlands are the commercial townhomes on Main Street. In true mixed-use fashion, the townhomes include two levels of office and retail space with a residential level on the third floor. Harkening back to the days when you could commute to your business by walking down the stairs, these buildings allow give small-business owners a degree of flexibility that was hard to find in the 80s and 90s. The design of the streets these live-works sit on have been essential to the flourishing small businesses and entrepreneurship in the Kentlands. Recent studies from around the country and in Europe have shown that, when you increase the walkability of an area, economic activity booms. 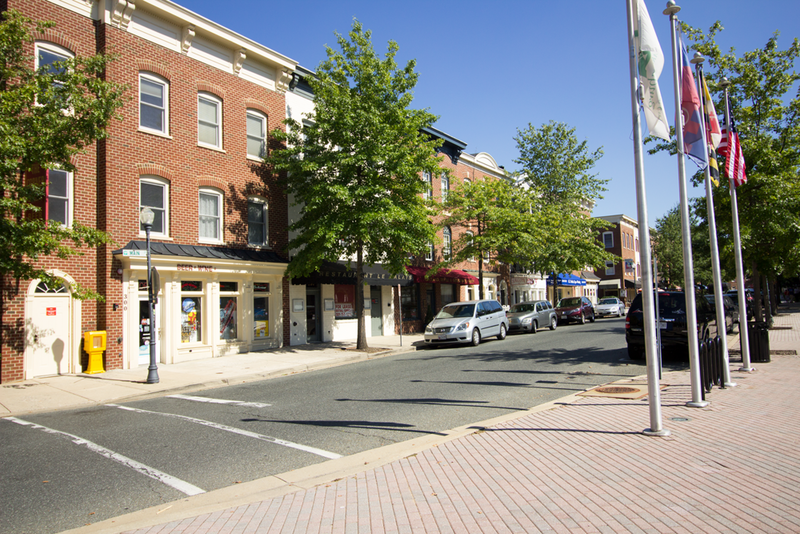 Main Street in Kentlands is walkable by design, and with its narrow width, low speed limits, and sharp turns, makes walking the better option to driving, which means business on Main Street is good. Not only do these live-works benefit the countless doctors, dentists, beauticians, restaurants owners and other entrepreneurs, they also make living and shopping in the Kentlands more convenient for local residents. Steve, Jack, and other members of the Parkwood team can easily walk from our Maryland office to an appointment at their doctor's office, or to lunch, or to get a pedicure (if they wanted to). 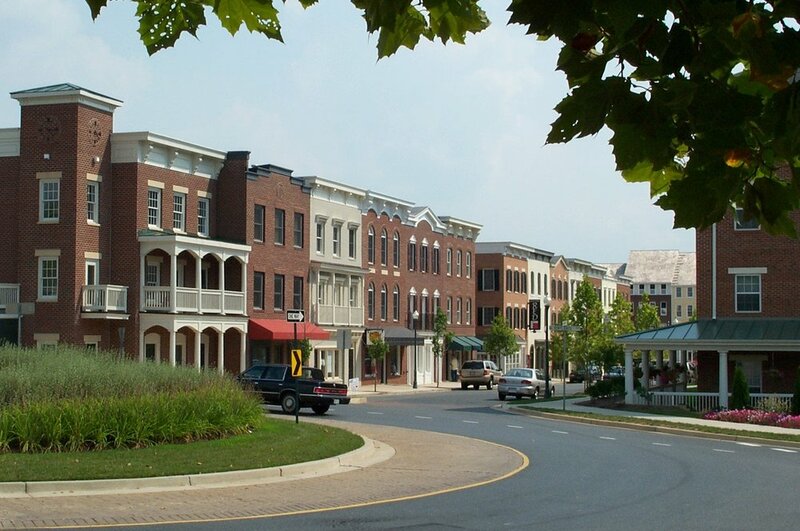 Of course, this is not the typical American suburb, and without large front yards, attached garages, cul-de-sacs nor spacious roads, Kentlands is not what most have in mind when thinking of suburban life. This leads to the ultimate question New Urbanism seeks to answer: Do we plan our communities for people or their cars? Kentlands is through and through a people’s community. As a student at Lakelands Park Middle School, located in the adjacent Lakelands community, I remember wandering around the Kentlands with my friends after school, practicing lacrosse at any of the pocket parks in the area, and spending summer days eating crepes or watching a movie at the theater, all without needing a ride from my parents. At the time, I didn’t think much of it, but working for Parkwood and this recent trip back to my old neighborhood made me realize just how fortunate I was.